Application deadline: 16:00 on Friday, 3 July 2015. 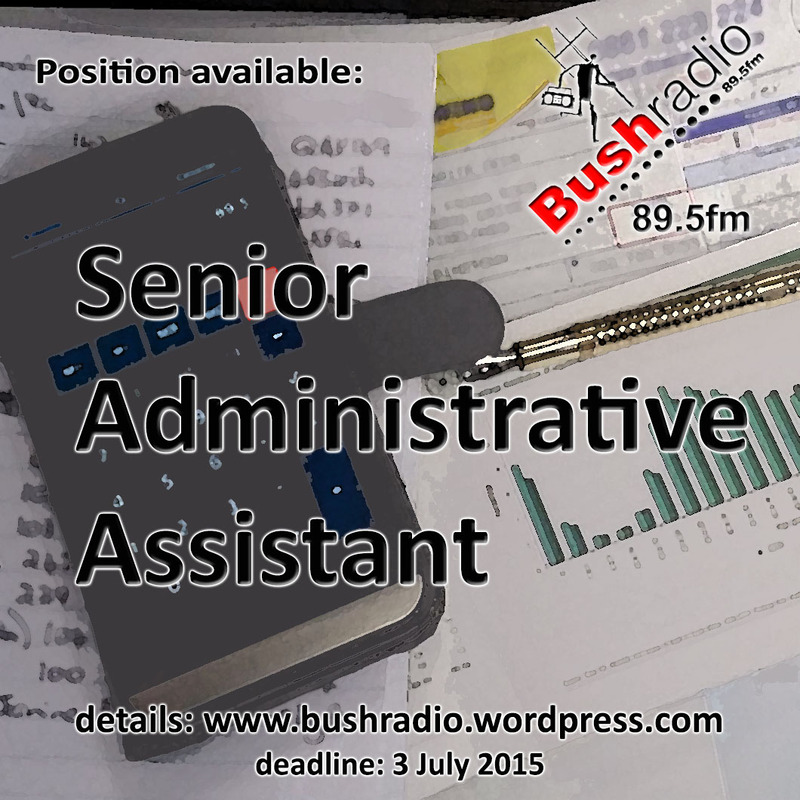 Applications can be emailed to admin@bushradio.co.za and should state: Senior Administrative Assistant Application 2015 in the subject line. No telephonic enquiries will be accepted. Candidate must be available to start immediately.